Eddy Maroun wanted to listen to music while skiing in Faraya, a Lebanese mountain resort. It was the winter of 2010, and iTunes wasn’t yet available. Like everyone else with an iPod, he bought CDs and uploaded the music. The other option was to illegally download MP3s—altogether a tedious and unseemly affair. It got Maroun, 41, thinking about offering a music streaming service like Spotify. Users can select songs from a large playlist without having to download them onto a computer, and it has the blessing of artists. Perhaps unexpectedly, Maroun can now claim to play a small part in helping the music industry fight intellectual property theft in the Middle East, where piracy is rampant because of lax copyright enforcement. “We’re working hard to bring back value to music,” he says. His wildly popular Beirut-based music streaming service Anghami has 32 million downloads and 5 million active listeners a month. For free, they can pick songs from more than 20 million Arabic and international tracks, making it the largest music streaming platform in the Middle East and North Africa. On average, listeners stream 500 million songs per month. 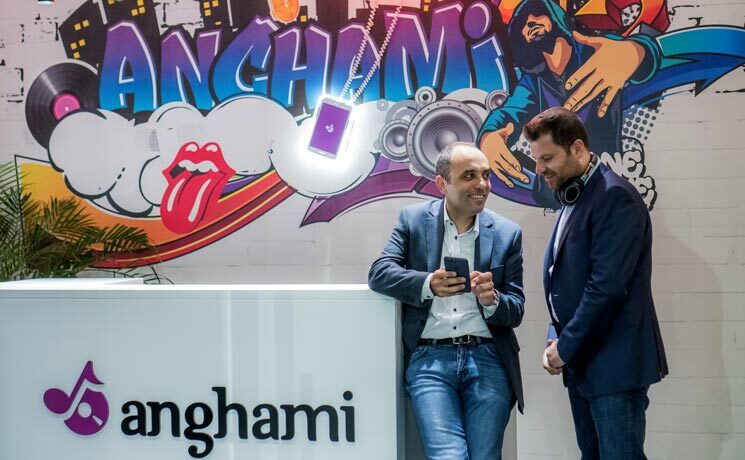 “Today, [Anghami] is the biggest homegrown mobile business,” says Walid Mansour, a managing partner at Middle East Venture Partners, Anghami’s first backer. “There are no apps that have that size that are from this part of the world.” By comparison, tech darling Careem, which sports a $1 billion valuation, has around 5 million downloads. Being first to approach Arabic record labels, at a time when many had never heard of music streaming, worked massively in Maroun’s favor. It helped Anghami build an extensive music catalog, setting it apart from other streaming services in the region. Rotana Records gave it exclusive streaming rights in Saudi Arabia, the U.A.E. and Lebanon. 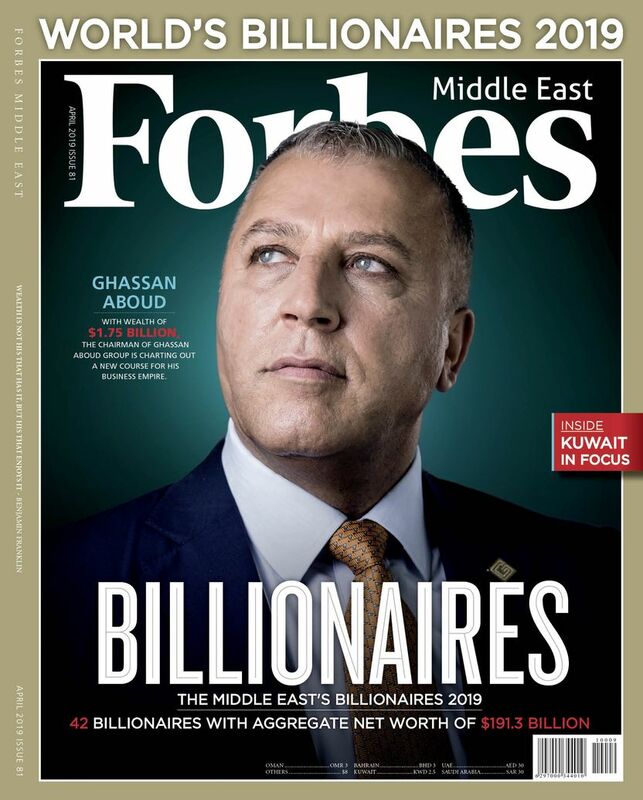 As one of the Arab world’s largest music labels, Rotana represents some of the biggest artists, such as Elissa, Assala Nasri and Kathem Al-Saher. Other Anghami partners include MBC Group’s Platinum Records, Egypt’s Mazzika and Lebanon’s Watary. The record companies saw no downside in signing on an upstart that was essentially protecting their interests. “Music streaming is a way to let people discover the music of our artists and somehow it helps reduce the level of piracy,” says Michel Elefteriades, founder of Lebanon’s Elef Records. Through these agreements, Anghami gets to exclusively stream new singles and albums, sometimes up to a week before they appear anywhere else. In December 2016, Lebanese pop star Nancy Ajram’s new single “3am Bet3alla2 Feek” made its debut on Anghami, where it attracted nearly 5 million plays, before Ajram released it on YouTube on January 1st. The company also has streaming rights in the Middle East for international music labels, such as Sony Music, Universal and Warner, giving it access to artists from Michael Jackson to Lady Gaga. These licensing deals come at a price though. They require Anghami to shell out hefty royalties to labels and their artists, one reason the company is still in the red. Launching a music streaming business was an expensive proposition. Back from his Faraya ski weekend, Maroun, who was creating products for telecom operators at a developer of mobile messaging systems, ran the idea by his colleague Elie Habib, a 43-year-old software engineer and the company’s chief technology officer. The two struck up a friendship in 2000, when Habib hired Maroun, a skilled musician, to play tunes he wanted to turn into ringtones for mobile phones. He was receptive to Maroun’s idea. “I needed a change,” he says. Together they quit their firm in 2012 and started developing their service, which they dubbed Anghami (“my tunes” in Arabic.) The first employee they hired was Maroun’s future wife, who helped with web design. A key part hinged on adapting streaming technology that could function smoothly on slow networks. Habib developed an app that could maintain good sound quality even on 2G networks, using audio encoding and compression software from Dolby. “It was a rough period; I don’t count the number hours we worked,” he says. While Habib toiled away on the technology, Maroun reached out to record labels, where he already had contacts. When he recorded ringtones, he had to seek their permission to use certain songs. In 2011, Rotana Records quickly agreed to sign a licensing agreement, with Anghami paying for the rights to stream its artists. Maroun won’t provide an exact number but says the Rotana agreement cost in excess of $1 million, payable in installments. The venture capitalist was impressed by the pair’s determination to get the widest selection of pop music possible. Other streaming services, such as Morocco’s Yala, had limited catalogs, most likely because they couldn’t afford to pay for them. Anghami had also quickly embraced mobile. Initially, Habib began developing a web-based platform, but with the rise of smartphones he moved to a mobile-first strategy. “If it weren’t for that decision, Anghami wouldn’t be at its size today,” says Mansour, who agreed to invest $1.2 million in 2012. That year, the startup launched its free mobile streaming app, which also allowed users to legally download songs. Within four months, Anghami hit one million users. Maroun and Habib were astounded; Anghami was a hit. Its business model is similar to Spotify’s. For free, listeners get unlimited songs, with ads. For $4.99 a month, they have access to unlimited downloads and offline listening with no ads. But, to acquire customers averse to paying for music and hesitant about making payments online, Maroun did a smart thing. He struck deals with telecom companies. Anghami’s first partner was Orange Jordan, which agreed to bundle the nascent app with its data plans. Others followed, including Vodafone Egypt, Zain KSA, and du in the U.A.E. The company now has more than 20 telecom partners. In Lebanon, for example, Alfa charges $3.99 a month for Anghami’s premium subscription. The startup shares revenues with the telecom, although it refuses to disclose its cut. Signing up with Anghami through a mobile operator also allows users to stream music on their phone without incurring data charges up to a point. Currently, 70% of the company’s revenue comes from paid subscriptions, mostly through telecoms, with ads accounting for the rest. Habib thinks advertisements could generate 40% of sales in 2017. Nestlé, P&G, Pepsi, Unilever and Puma already advertise on the streaming service, attracted by its primarily millennial audience. To gain more customers, Maroun has employed a variety of marketing tools. In 2013, Anghami partnered with Facebook to let people sign up through the social media platform. It is also getting into music production. Last year, it produced Alaa Wardi’s smash music video “Evolution of Arabic Music,” which racked up nearly 7 million views on YouTube. (See sidebar). The company recently set up recording space in its office, where musicians can record live sets, dubbed Anghami Sessions. It plans regular video releases of the performances. To date, two bands have recorded a total of nine songs in its studio. Anghami also nurtures upand- coming artists by streaming their music. Jordanian independent Arabic rock band JadaL was one of the first to play on Anghami, gaining 57,000 followers on the platform. Being able to feature its music alongside pop stars helped increase its exposure says Mahmoud Radaideh, the lead singer, and earn royalties. Anghami’s website has a page where independent artists can request to upload their music. All told, the company is becoming a significant cog in the music business. But, the playing field has gotten more crowded. There’s Deezer, a French competitor with more than 100 million downloads worldwide, and Apple entered the fray in 2015 in eight Arab countries. Spotify has yet to launch its service in the Arab world. Anghami has advantages: it has exclusive streaming deals with Arab music labels in some countries, and Apple Music is a paid-only service. In November 2016, Maroun closed a series B round for an undisclosed amount from U.A.E. private equity firm Samena Capital and du. 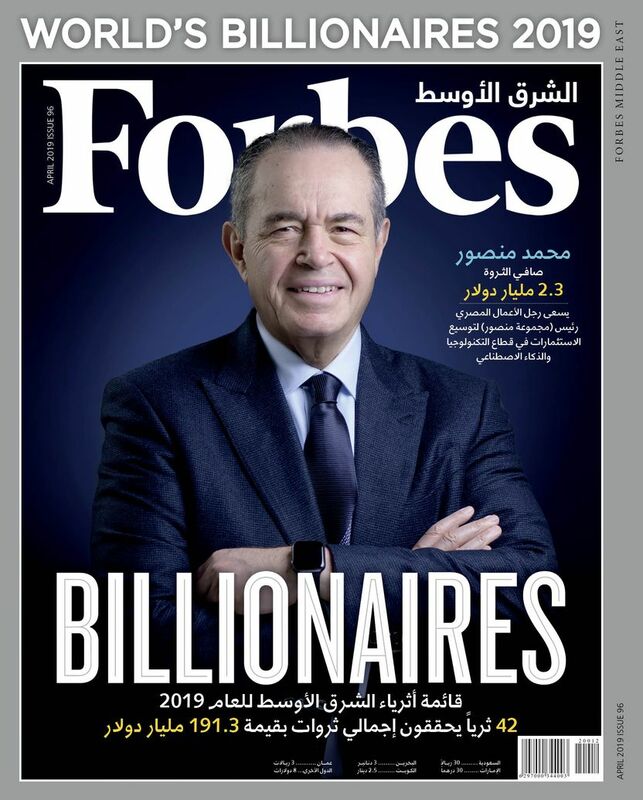 He previously raised $14 million from investors that include MBC Ventures and Mobily Ventures, the venture arm of Saudi telecom Mobily. With its most recent injection of funds, Anghami is preparing for a splash in 2017. “We’re going to spend a lot on marketing,” says Habib. The company is in talks with concert promoters across the region to sponsor festivals and shows, and is set to sponsor 12 small concerts at the Dubai Mall throughout 2017. Anghami also partnered with the STEP Conference in Dubai to host a music-themed forum in April featuring musicians and music industry players. Discussions will revolve around the future of the region’s music industry. Anghami has become a key part of it.